Have CASA ITALIA Delivered directly to your door! 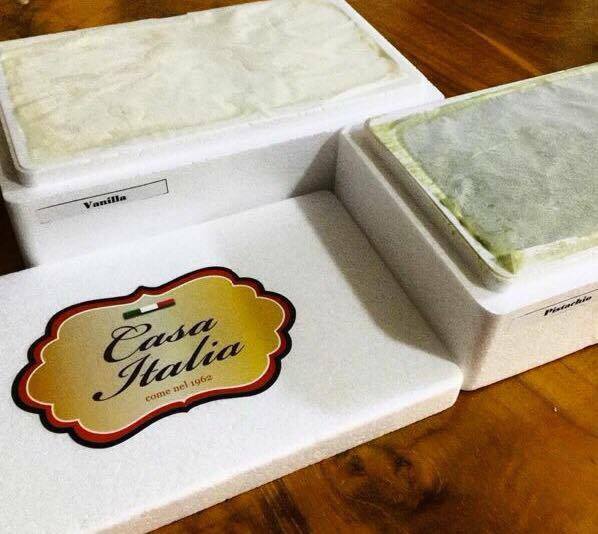 Have	CASA ITALIA delivered to you, anywhere on Koh Samui! For only 100 baht! 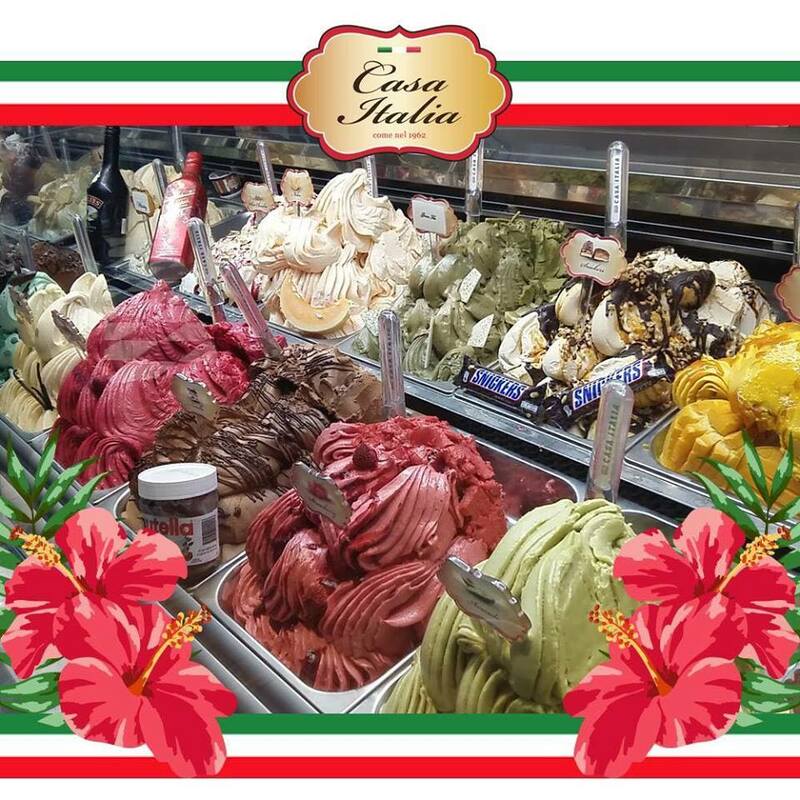 Casa Italia is a modern day interpretation of the traditional Italian bar where you can relax and enjoy our food,wine,pizza,coffee and gelato with a smile. Tomato sauce,mozzarella cheese,gorgonzola cheese,scamorza cheese and talegio cheese. Mix selection of traditional cold cuts,mix cheese,black olives,sundried tomato,homemade pickles,grilled vegetable and focaccia. Mix selection of italian famous soft and aged cheese's,green,olives,capers,foccacia pugliese. Salame Milano,Salame,picante,mortadella,coppa,parma ham,black olives,sundried tomato,focaccia. Homemade bread,combination of bruschetta al pomodoro,bruschetta aglio E olio,bruschetta Al prosciutto. Grilled mix seafood in garlic oil,lettuce and tomatoes. Grilled chicken,lettuce,parmesan cheese,croutons and ceasar dressing. Mix Salad,bell pepper,cherry tomato,spring onion,boiled egg,grilled chicken,with mustard dressing. Mix Salad,Cherry Tomato,cucumber,fresh tomato,carrot,spring onion,olive oil. Smoked salmon,green oak salad, spring onion,cucumber,rocket,ricotta cheese with greek yogurt dressing. Gorgonzola,taleggio,guoda,parmesan cheese with cream sauce. Homemade gnocchi cooked in tomato sauce. Traditional lasagna pasta,bolognese sauce,besciamella cream,mozzarella and parmesan cheese gratin. Traditional italian pasta,pesto sauce,eggplant,cherry tomato,besciamella,mozzarella and gratin parmesan cheese. Ravioli in spinach and ricotta filling in tomato creamy sauce. Ravioli in spinach, mushroom porcini and ricotta filling in truffle cream sauce. Homemade fresh signature recipe,tagliatelle eggs pasta with salmon in creamy vodka sauce. Homemade fresh signature recipe,tiger prawn,white wine,cherry tomato and tomato sauce. Penne pasta in napolitana chilly tomato sauce. Traditional italian fresh minced beef tomato sauce. Australian beef cooked as you like and served with mashed potato and mediterranean vegetables. Aborio rice tossed with prawns, vongole,mussels,calamari in white wine tomato sauce. Typical omelette with mushroom,onion,peppers,and toast bread. Eggs,bacons,sausages,spinach,mushroom served with toast bread. Bacon,spinach,eggs,and parmesan swerved with toast bread. Potatoes,mushroom,spinach,eggs,and parmesan served with toast bread. Address: 108/11 ( Ring Road), Bophut from BigC, direction Bophut on the right hand side,Koh Samui 84320 Thailand.